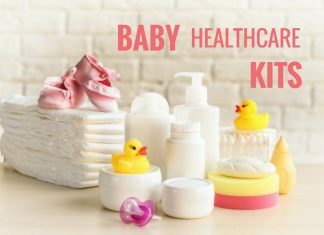 Home Newborn How to Ensure Newborn Safety During Sleep? How to Ensure Newborn Safety During Sleep? The fact is that babies sleep for more than 16 hours each day, meaning that during the first few weeks of their lives, proper sleep is extremely important. The only reason why the baby is waking up during that period is to eat. Usually, the baby wakes up every 3 or 4 hours to get a portion of breast milk or formula. During the first few weeks of the life, a baby may remain awake only for a couple hours total in a day. 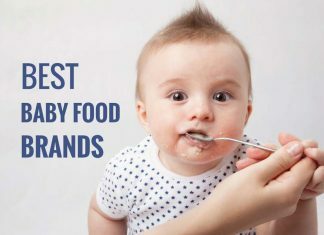 The most important job of the parents during that period is to ensure the baby gets enough food, but also to ensure that the baby gets proper sleep. By proper, we mean that the infant needs to feel safe and comfortable. Choose either a bassinet or a crib for your baby, as they ensure maximum comfort, while also keeping the baby safe. If you have twins or triplets, you need to separate them when it’s time for sleeping – each baby needs a separate bed. But, simply putting the baby in the crib/bassinet is not enough. You need to do it very carefully. You need to lay the baby on the back on a flat surface. Although you can cover the mattress with a sheet, you need to make sure that the sheet is tightly fitted. What Kind of Mattress to Buy? Some mattresses are made so that no sheet is needed. In fact, these days, you can find dozens of high-quality materials, which do not cost much. But what does a quality mattress entail? Well, first of all, it needs to be firm, yet soft, so that the baby would feel comfortable laying on it. Secondly, such mattress also needs to be made of breathable materials, as it adds to the safety of the baby. 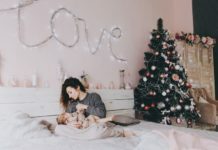 If the baby turns over by accident, it will have no problems breathing, which is something that reduces the risk of SIDS (Sudden Infant Death Syndrome). According to the American Academy of Pediatrics, the parents are advised to sleep in the same room as their baby, but not on the same bed. This way, you will be able to head the baby as soon as he/she wakes up and starts crying. You should keep on sleeping in the same room as the baby for the first couple of months of the baby’s life. Our suggestion is to do it for at least half a year. In order to ensure your baby’s safety while it’s asleep, you also need to pay attention to a few more things. For example, it is very important to move all toys, crib bumpers, and all other objects from the crib. You also need to make sure that there’s no loose bedding, as all of these things increase the risk of suffocating. To ensure that your baby will have a nice rest, you need to dress them appropriately. The baby needs to feel warm, yet comfortable. This can be achieved by dressing the baby in light clothes, made of soft materials. Furthermore, you are also advised to cover your baby with a blanket sleeper. But, make sure that the baby’s head and neck remain uncovered. The baby needs to be able to breathe comfortably. Some babies will fall asleep easier if you give them a pacifier. But, that’s not the only reason why this item is important – a pacifier can prevent SIDS. Still, the advice is to wait at least one month before giving your baby a pacifier, especially if you are breastfeeding. Next articleWhat to Do If Potty Training is Not Very Effective? 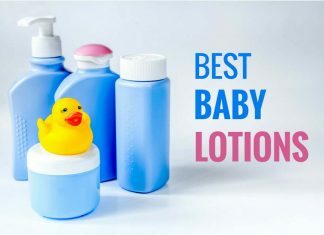 Babies are a gift of God; BabyCareMentor.com helps you in knowing the best health care products, baby foods, shampoos, nourishing lotions and diapers for newborns.